When working with sports men and women, the biomechanist is faced with two apparently incompatible goals: reducing injury risk and improving sports performance. Now in a fully updated and revised edition, Sports Biomechanics introduces the fundamental principles that underpin our understanding of the biomechanics of both sports injury and performance, and explains how contemporary biomechanical science can be used to meet both of those goals simultaneously. The first four chapters of this book look closely at sports injury, including topics such as the properties of biological materials, mechanisms of injury occurrence, risk reduction, and the estimation of forces in biological structures. 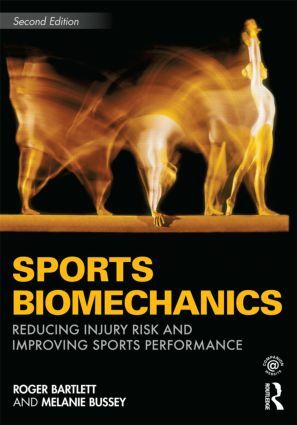 The last four chapters concentrate on the biomechanical enhancement of sports performance including analytical techniques, statistical and mathematical modelling of sports movements, and the use of feedback to enhance sports performance. Drawing on the very latest empirical and epidemiological data, and including clear concise summaries, self test questions and guides to further reading in every chapter, this book is essential reading for all advanced undergraduate and postgraduate students with an interest in biomechanics, sports injury, sports medicine, physical therapy or performance analysis. Roger Bartlett is Professor of Sports Biomechanics, University of Otago, New Zealand. He is an Invited Fellow of the International Society of Biomechanics in Sports and an Honorary Fellow of the British Association of Sport and Exercise Sciences, of which he was Chairman from 1991-4. Roger is a former editor-in-chief of the Journal of Sports Sciences, and Sports Biomechanics. He is the author of Introduction to Sports Biomechanics: Analysing Human Movement Patterns and co-editor of several other sports science books. Melanie Bussey is a Senior Lecturer in Biomechanics and Sports Injuries in the School of Physical Education, University of Otago, New Zealand. She is a member of the International Society of Biomechanics, Sport Science New Zealand and Sports Medicine Association of Australia. She publishes in a broad spectrum of sport, clinical and biomechanical journals including the Journal of Biomechanics, Clinical Biomechanics, Journal of Medicine and Science in Sport and Manual Therapy.